Nobody is stalking them. The cameras are set up with no humans around and are triggered by heat and motion. And the research is part of how we understand animal ecosystems and conservation, so I’m not really clear why you think this is threatening. Snapshot Serengeti brings the secret lives of Africa’s jaw-dropping wildlife to your browser, providing a unique window on everything from aardwolves to zebra. 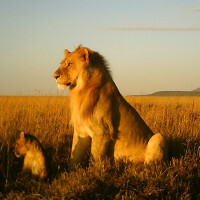 | Check out 'Save Snapshot Serengeti' on Indiegogo. I’m sorry Maggie. I was kidding. Clearly, it didn’t work. Ah, I’m an idiot. My apologies! Boing Boing is hiring idiots now? Sweet - here comes a resume!